In 2001, the Seattle Storm landed Australian center Lauren Jackson with the No. 1 overall draft pick in a franchise-altering move. 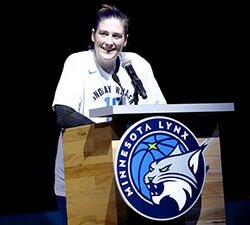 But their selection a year later would come to define the Storm and WNBA history going forward. 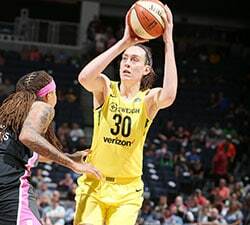 UConn point guard Sue Bird joined Jackson to form one of the league’s preeminent inside-out duos. 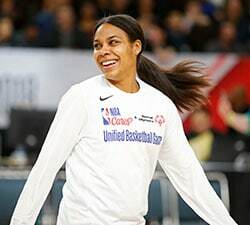 The pair teamed up to win the WNBA championship in 2004 and cap their careers together with another title in 2010. “I mean, she’s a badass. That’s going to be her legacy. She is. Everyone talks about ‘the look.’ That’s going to be the cover of the book. The title will be ‘Badass.’ That look was her everyday and every game. That’s what identity of our team was all of the years that she played here. We kind of followed that.